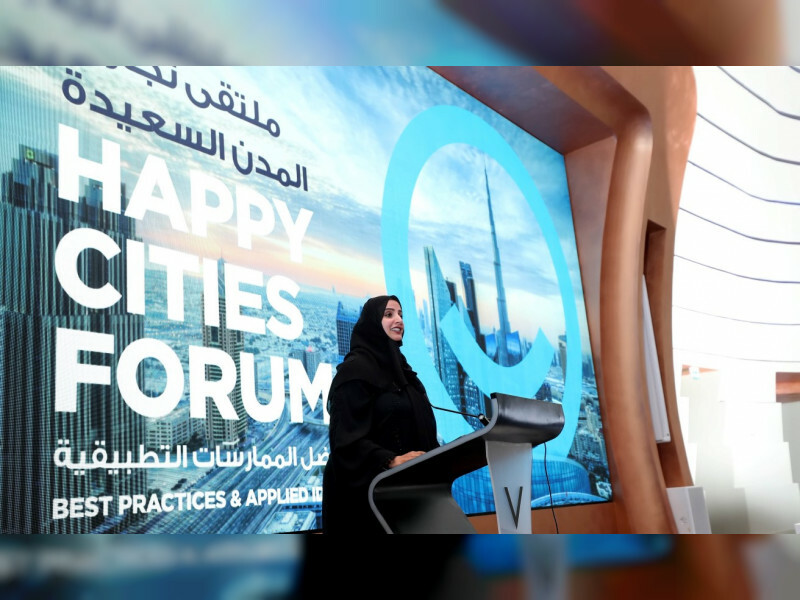 DUBAI, 7th April, 2019 (WAM) -- Smart Dubai has sponsored the 'Happy Cities Forum', the first of its kind in the UAE, at Al Habtoor city in Dubai, which was attended by Director Generals, CEOs from Dubai Government agencies, the Happiness Champions, and other stakeholders from more than 30 government and non-governmental agencies. The Forum adds to the efforts to carry out the Dubai Happiness Agenda, launched in May 2016 by His Highness Sheikh Mohammed bin Rashid Al Maktoum, Vice President and Prime Minister of the UAE, Ruler of Dubai. The event explored best practices from government and semi-government entities that succeeded in spreading happiness among the people of Dubai. It presented a platform for showcasing Smart Dubai’s initiatives and progress in achieving the objectives of the Dubai Happiness Agenda, promoting happiness and sustainability, measuring their impact on Dubai’s residents and visitors, embracing technology to meet people’s requirements, and promoting Dubai as a global benchmark for happiness in cities. The "Happy Cities Forum" provides a platform for sharing expertise and best practices locally, regionally and globally. It also highlights Happiness Champions’ experiences in their annual training programmes, which Smart Dubai organised under the Happiness Agenda’s "education" portfolio. Regarding the gathering, Smart Dubai’s Director General Dr Aisha Bint Butti Bin Bishr, said, "Promoting happiness and positivity in the community is a key component of Smart Dubai’s strategies. It embodies the leadership’s vision to make Dubai the happiest city in the world by prioritising people’s wellbeing and providing a fully integrated ecosystem for delivering smart government services, saving people’s time and efforts to ensure outstanding experiences." In addition, Smart Dubai announced it has received the intellectual property rights for the Happiness Agenda, which is a unique approach to promoting happiness and sustainability, and measuring their impact on Dubai’s residents and visitors.